Dr. George Hill Folsom had family connections and was well known in Ray City and Berrien County, GA for more than 50 years. He came to live in Berrien County some time prior to 1929, and established a home in Ray City where he engaged in general practice as one of the Medical Men of Ray’s Mill. 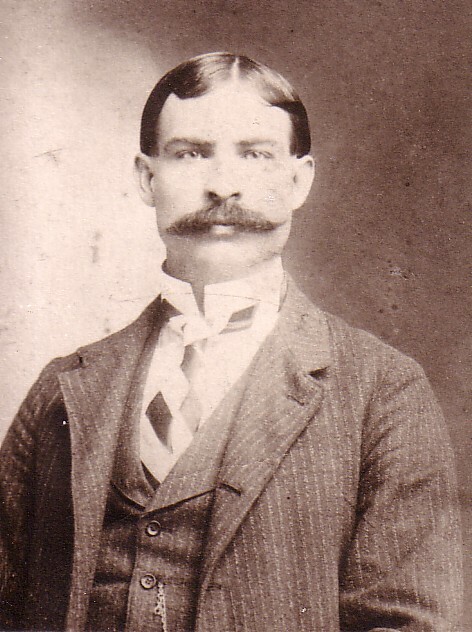 Dr. George Hill Folsom lived in Ray City, GA in the late 1920s and early 1930s. George Hill Folsom was born July 26, 1877 in Colquitt County Georgia, a son of Randall Nathaniel Folsom and Mary E. Marchant. George Hill Folsom could trace his ancestry back to William Folsom (ca 1745-1785), “who assisted in establishing independence while acting in the capacity of Lieutenant in the Georgia Line.” Lieutenant William Folsom is thought to be a native of Virgina who later moved to Georgia where he lived and died in Burke County. At age 3, George Hill Folsom was enumerated in the town of Warrior, Colquitt County, GA where his father was engaged in farming. On April 7, 1903 George H. Folsom married Mattie Laura Brown in Pinopolis, Colquitt County, GA. Her parents, Eliza Catherine Hancock and Simon Peter Brown, were also from Colquitt County, but had relocated to the 1487th district in Berrien County some time before 1900. It is said that George H. Folsom attended the Atlanta School of Medicine. If so, he would have studied there sometime between 1906 and 1910. The Atlanta School of Medicine was formally opened in October 1905, and became a part of Emory University in 1913. It appears that Mattie Folsom continued to live with her parents while George was away at medical school, for the couple’s first child, Bessie Viola Folsom, was born on March 11, 1905 at Milltown, GA (now Lakeland). A second daughter, Susie Mae Folsom, was born at Ray City, GA on June 13, 1908. After receiving a medical degree, Dr. George H. Folsom returned to his birthplace. In the Census of 1910, he is enumerated on May 2, 1910 with his wife and daughters in Warrior, Colquitt County, GA where he was employed in general medical practice. Although Mattie’s parents had also relocated back to Colquitt County by this time, the Folsoms must have retained a place or family connections near Ray City, for on December 11, 1910 this is where their first son, Ernest William Folsom, was delivered. A second son, George Jr. was born at Lakeland in 1913, followed by a daughter delivered at Valdosta in 1915. 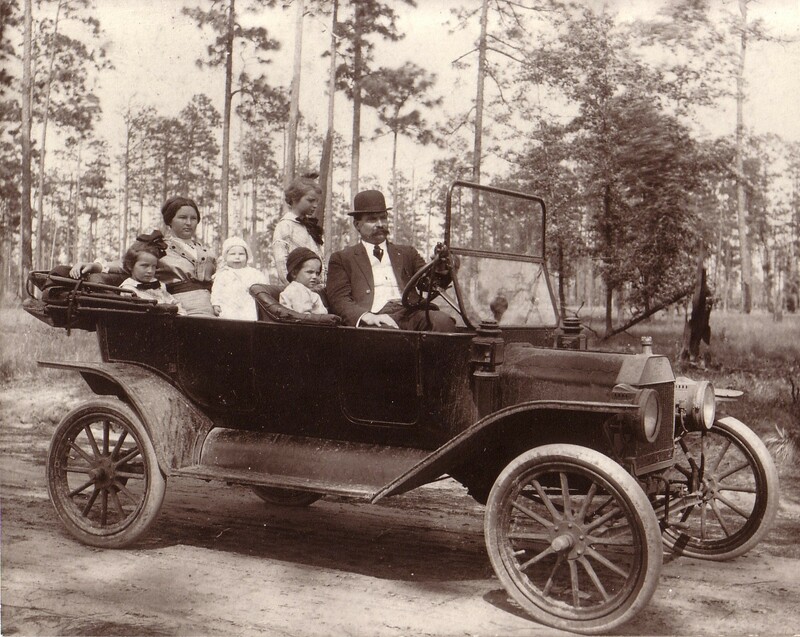 By 1917, Dr. Folsom had moved his family to Ellenton, GA where he engaged in general practice on his own account. The Folsoms lived in a house on Baker Street, which Dr. Folsom owned free and clear. It was while living in Ellenton that George Hill Folsom registered for the draft for World War I. At 40 years of age, he was described as tall and stout, with dark hair and blue eyes. He was not called to serve in the war. Dr. George Hill Folsom, wife Mattie and the children. The Folsom’s final two children were both born in Valdosta, GA; Elmer A. Folsom, born July 9, 1919 and Elton Brown Folsom, born March 6, 1924. In 1928, Dr. Folsom’s daughter, Susie Mae Folsom, married Joseph Edward Boyett in Nashville, GA. Apparently by at least 1929, the rest of the G.H. Folsom family had moved to Berrien, this time to Ray City, GA. Dr. Folsom served on the 1929 Board of Trustees for Ray City School. He was one of the business men who endorsed the establishment of the Ray City News newspaper. The Census of 1930 found the Folsom family living in town in Ray City. Dr. Folsom owned one of the finest homes in town, valued at $3000. Mrs. Folsom kept house while their daughter, Bessie Folsom, was a grammar school teacher. The rest of the children were not employed and presumably were engaged in studies. The family neighbors were H. C. Hutchison and the widow Mary J. Fountain. Notice to Public: To Whom It May Concern: By mutual agreement the following charges will be made for our services effective immediately: Office Calls, $1.00. Local Calls, $1.50. Out of Town Calls 50 cents per mile. $1.00 extra charge will be made for night calls, both local and out of town. Obstetrics, $25.00 cash, or $30.00 on time, with $10.00 cash payment. Dr. Louis Smith, Dr. G.H. Folsom. By the 1940 census, George and Mattie Folsom had moved to Lakeland where they were living on Church Street. Still living in the Folsom household were the doctor’s adult children, Bessie, Ernest, Elmer, and 16-year-old Brownie. The Folsoms owned a home valued at $5000. Income data from the 1940 census paints an interesting picture of relative wages of the time. The good doctor was drawing an annual income of $1000 for his 70 hour work week. Bessie was working as a school teacher with an income of $540. Ernest Folsom, a road inspector for the Highway Dept, was drawing the highest wages, at $1200. Dr. Folsom’s wife,Mattie Laura Brown, died November 8, 1947. Dr. Folsom continued to live in Lakeland until his death January 17, 1963.